☄BRIGHT: It would illuminate your Christmas tree and what you want with beautiful warm white color and enough brightness. ☄SAFETY：Each set conforms to UL listed for indoor and outdoor use and protect your family and home from electric shock by waterproof without gap. ☄WHEREVER：Wherever decoration lighting is needed, include: outdoor Christmas tree lights on party, patio, Christmas tree's, wreaths, bushes, hedges, fences, pillars, weddings, prom, dance party, ball, holiday decor, restaurants, bars, pergolas, garden, yard, deck, backyard, bedroom, diningroom, living room. ☄Popularly used for decorative - party, wedding, home, window, bathroom, festival, Holiday, shows, restaurant, hotel, commercial building, shopping center, pub, club, concert, hall, cabaret, fashion show, dance, stage, etc. ★Sales price,this lights will make your life lovely. NOTE: ONLY STRING LIGHTS, NOT COME WITH A CURTAIN, MAINLY USED FOR CURTAIN DECORATION. 100% SATISFACTION GUARANTEE! If for any reason you're not 100% SATISFIED, please let us know and our customer service team will help you RETURN OR REFUND. 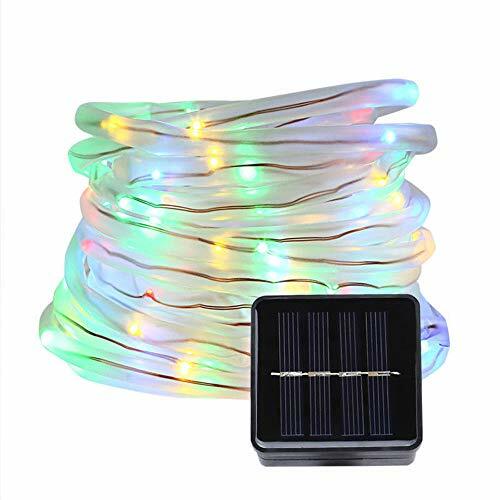 ★TOP-OF-THE-RANGE COPPER WIRE LIGHT: Ultra thin flexible silver lacquer coated copper wires,33ft, are flexible and bendable. you can shape it into any appearance you want. ★Application: High flexible copper wire coule be molded into any shape. Romantic decoration for indoor & outdoor, creates a warm, joyful, and festive ambience to delight Christmas party, night party,birthday party, bar, restaurant,bedroom, stage, etc. Special Decoration Effects: Live, Love, Create, add a warm and charming atmosphere for your home, patio, lawn, garden, shops, bars, café, restaurant, balcony, walkways, pergola canopy, and any place you wish. If you have any questions about this product by BOLUOYI, contact us by completing and submitting the form below. If you are looking for a specif part number, please include it with your message.